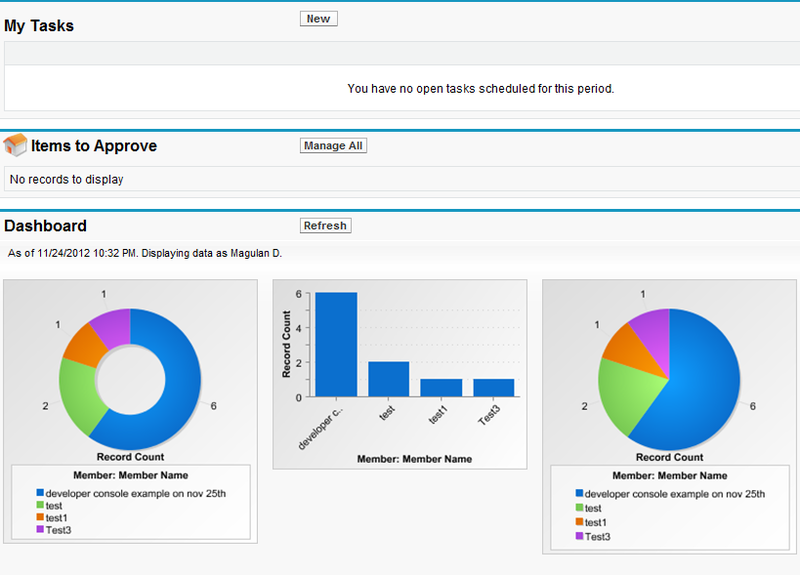 Loads data from a data source into Salesforce, where existing records with a matching custom external ID field are updated; records without matches are inserted as new records. 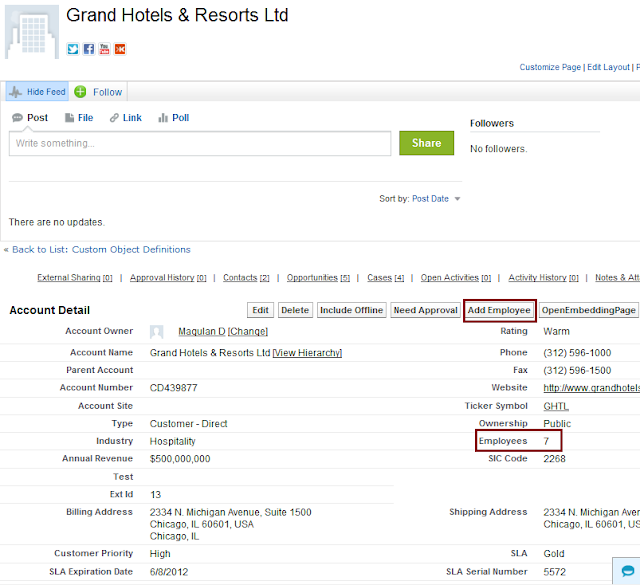 Your CSV file must contain a column of ID values for matching against existing records. 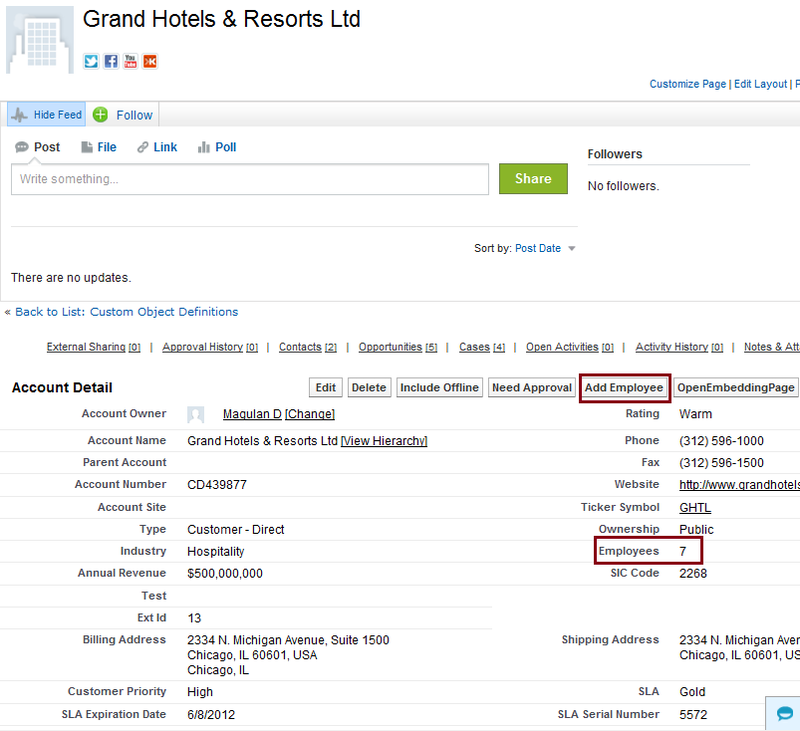 The column may be either an external ID (a custom field with the “External ID” attribute), or Id (the Salesforce record ID). 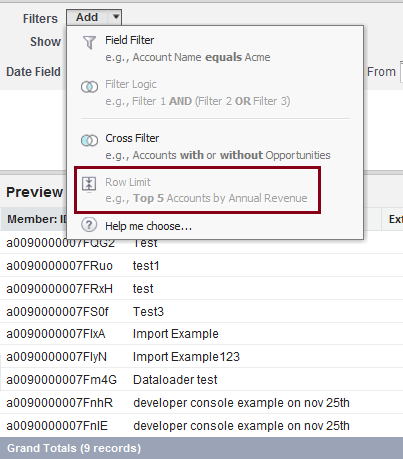 From the drop-down list, select which field to use for matching. If the object has no external ID fields, Id is automatically used. 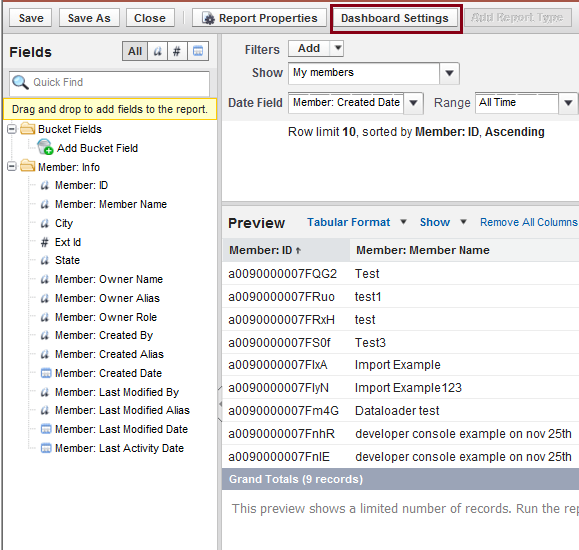 For more information on external IDs, see “Custom Field Attributes” in the online help. Click Next to continue. If your file includes the external IDs of an object that has a relationship to your chosen object, enable that external ID for record matching by selecting its name from the drop-down list. 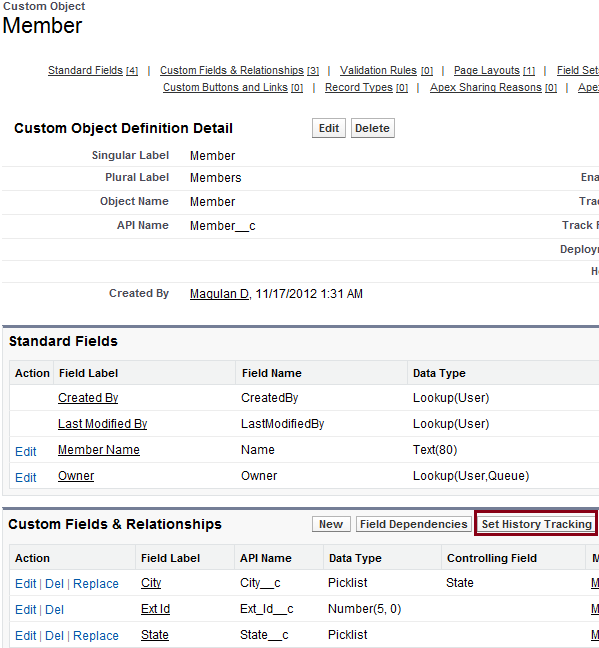 If you make no selection here, you can use the related object's Id field for matching by mapping it in the next step. Click Next to continue. 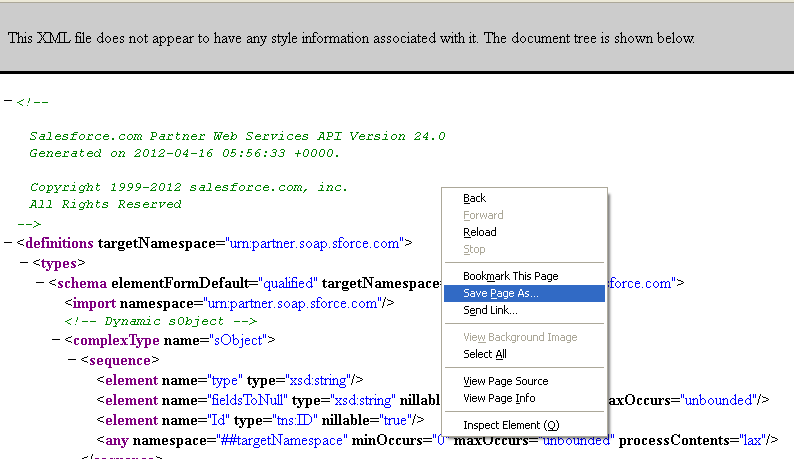 Custom labels are custom text values that can be accessed from Apex classes or Visualforce pages. 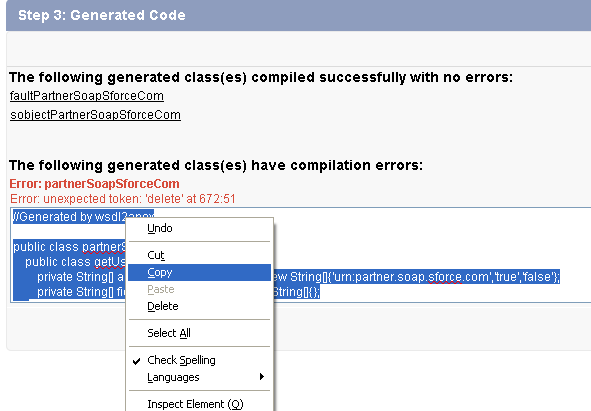 The values can be translated into any language Salesforce supports. Custom labels enable developers to create multilingual applications by automatically presenting information (for example, help text or error messages) in a user's native language. 1. Go to Setup --> App Setup --> Custom Labels. 2. Click 'New Custom Label' Button. 3. 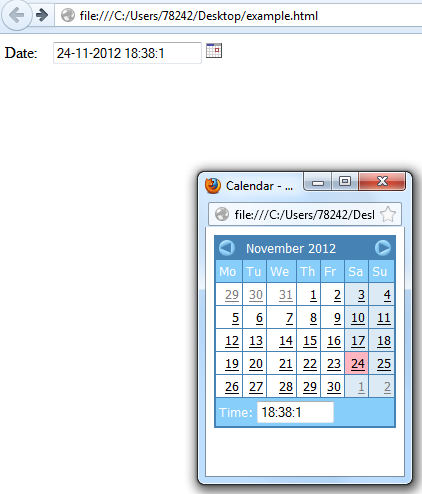 Fill in the details and Click 'Save' button. 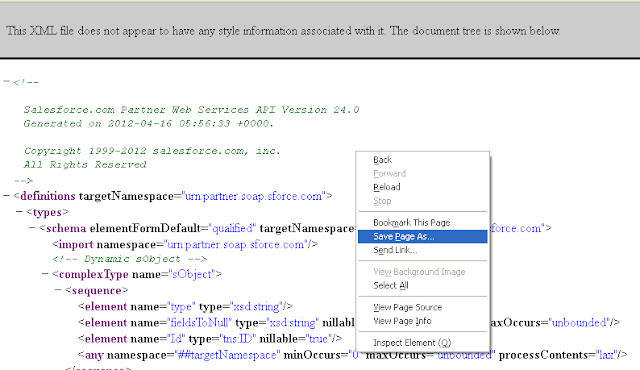 Use the global variable $Label to access the Custom Label value in Visualforce page. Custom labels are called in Apex using System.Label.Label_name. 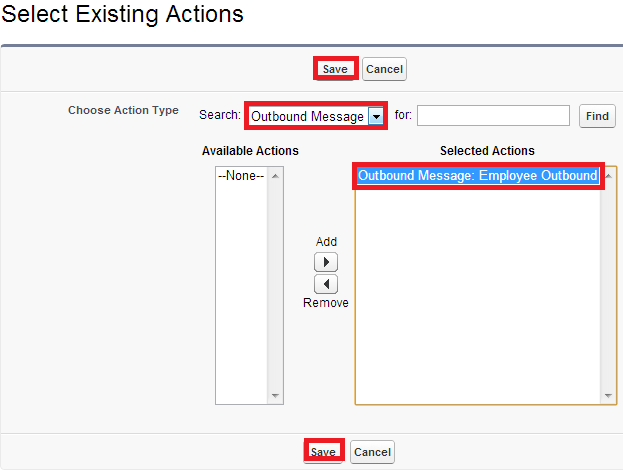 Using Outbound Messaging a message is sent to the specified endpoint URL. 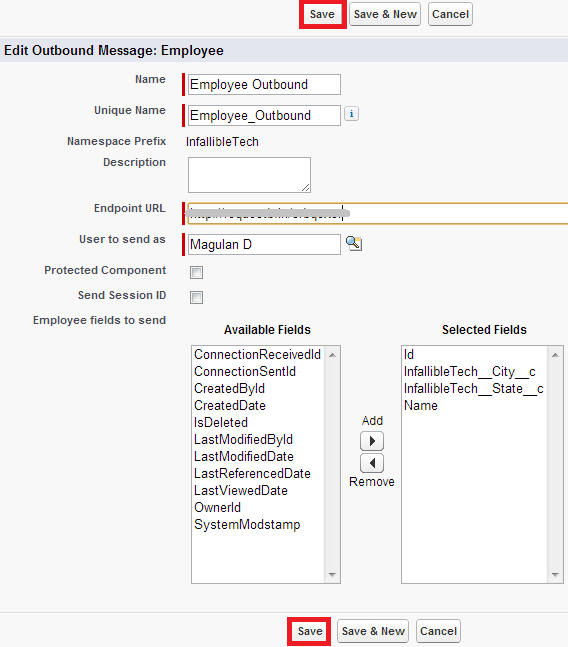 The message contains the fields specified when you created the outbound message. Once the endpoint URL receives the message, it can take the information from the message and process it. 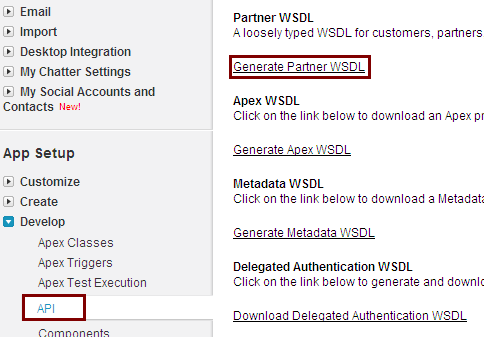 To do that, you need to examine the outbound messaging WSDL. 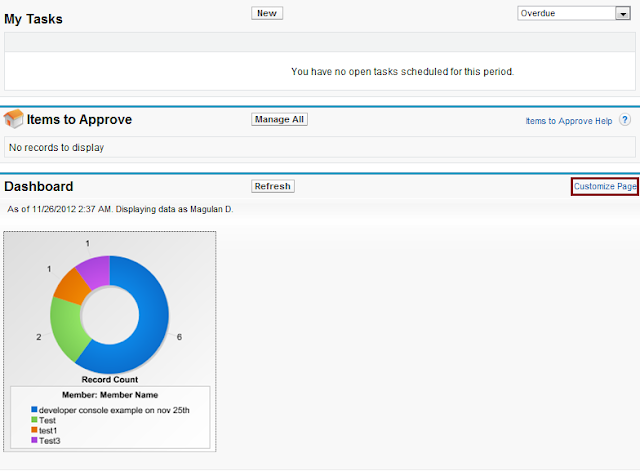 Salesforce must be configured to send outbound messages before the publisher will receive any data. 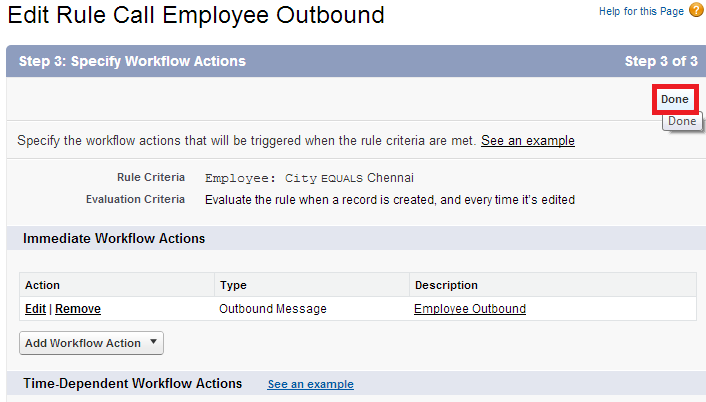 When setting up the outbound message, be sure to define these settings. 1. 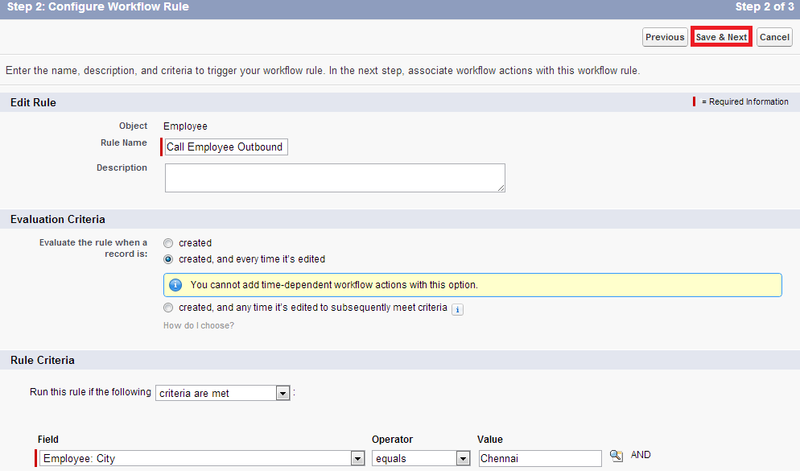 Go to Build --> Create --> Workflow & Approvals --> Outbound Messages. 2. 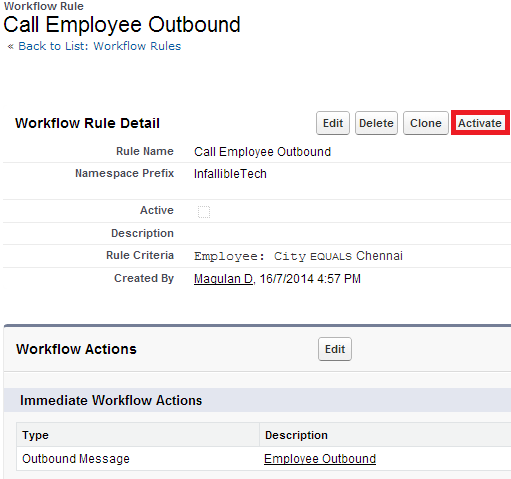 Click "New Outbound Message" button. 3. Select the object and click "Next" button. 5. 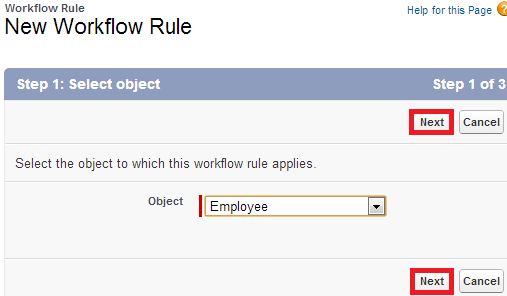 Go to Build --> Create --> Workflow & Approvals --> Workflow Rules and click "New Rule". 7. Enter the details and click "Save&Next" button. 8. 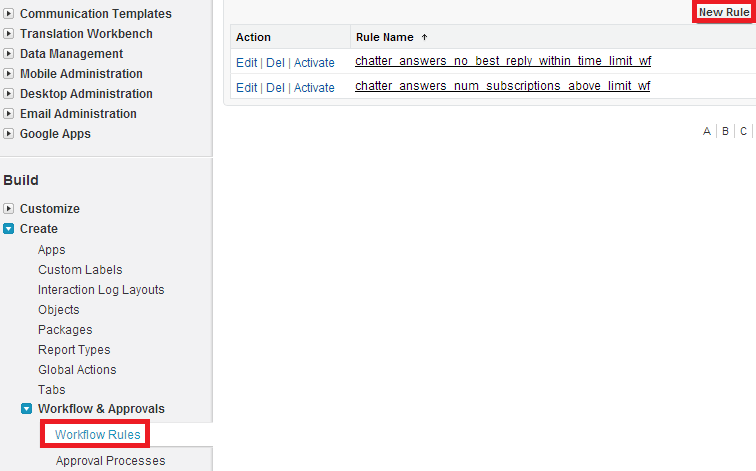 Click "Select Existing Action". 9. 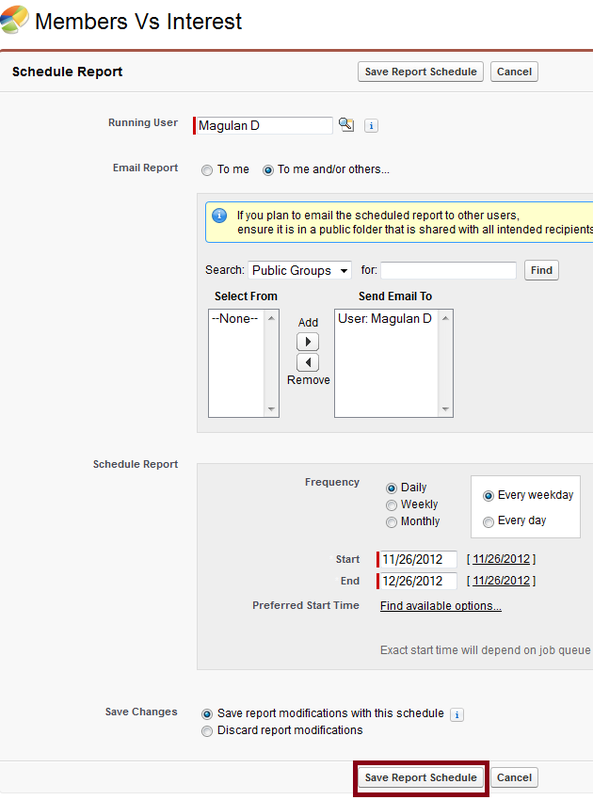 Select the outbound message and click "Save" button. 1. What is CRM(Customer Relationship Management)? 4. How to sign up for Developer Edition? 2. 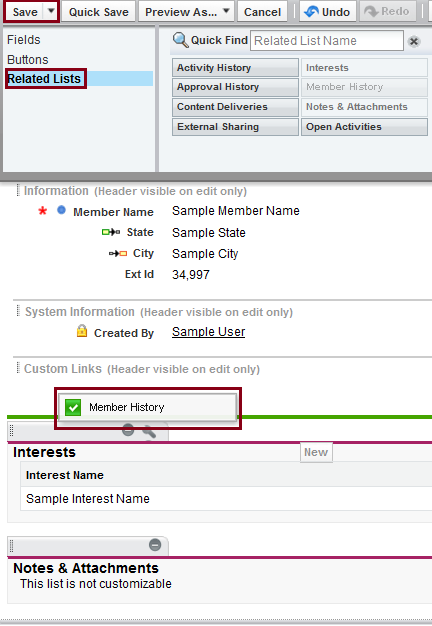 What are Related Lists? 70. 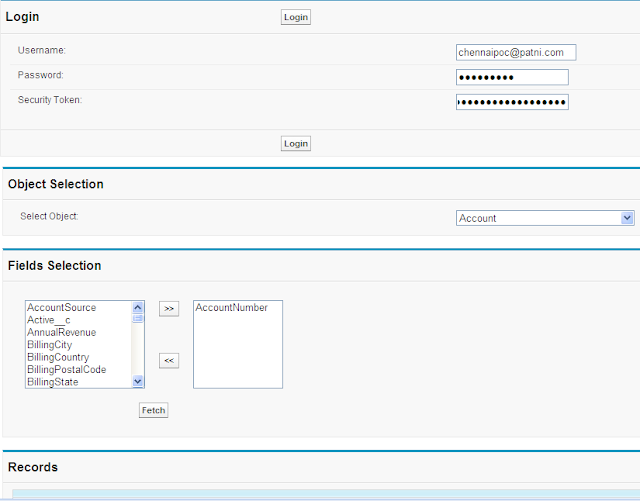 How to expire all the users password in Salesforce? 71. 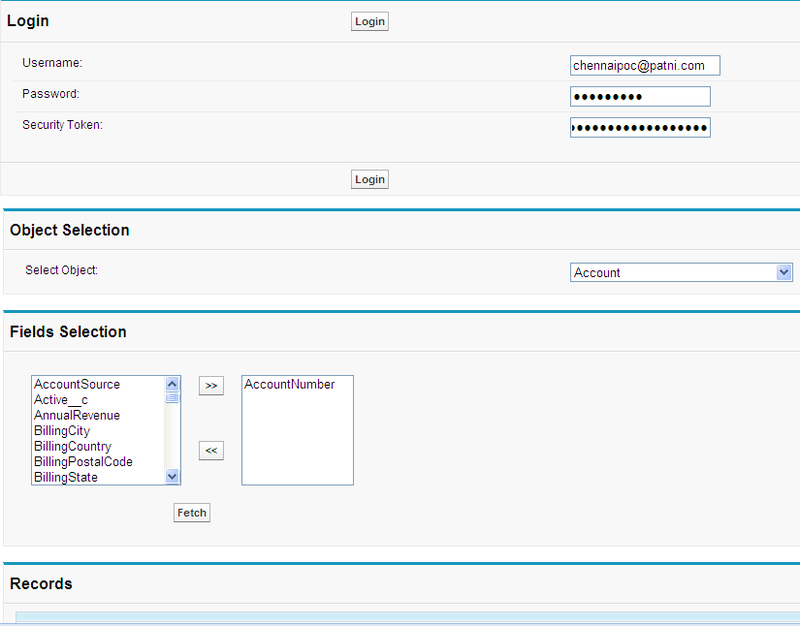 How Salesforce login works? 3. Difference between Developer, Configuration only and Full Sandboxes. 23. 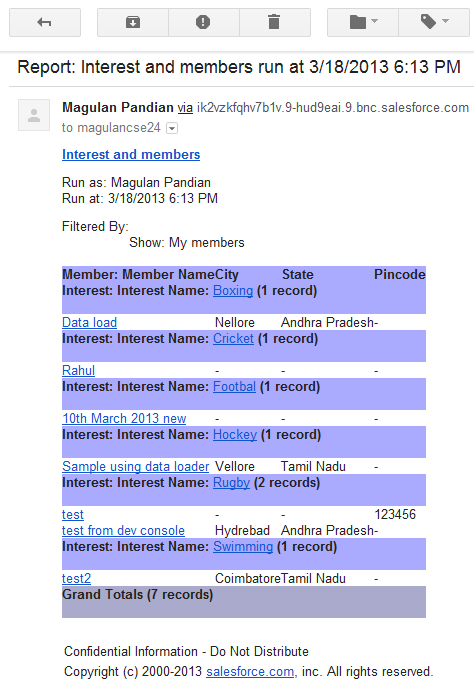 How to create a Sandbox in Salesforce? 24. 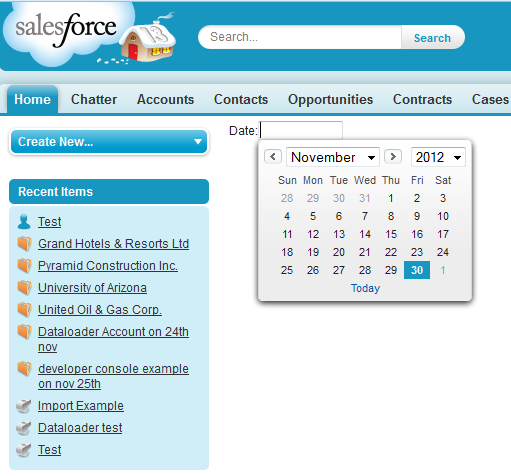 How to login into Sandbox in Salesforce? 25. How to create Inbound Change set? 26. 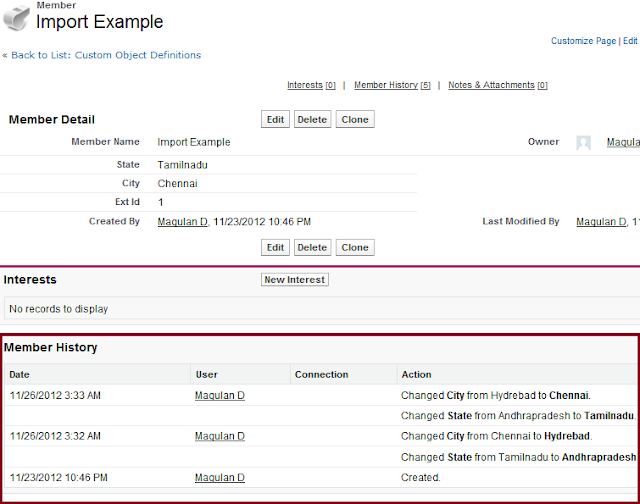 How to create Outbound Change set? 2. 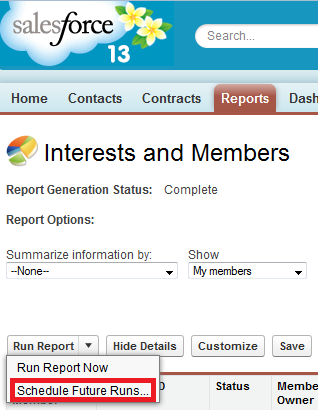 Click 'Schedule Future Runs...' link in 'Run Report' list button. 3. Fill the data as per your request and click 'Save Schedule Report' button. 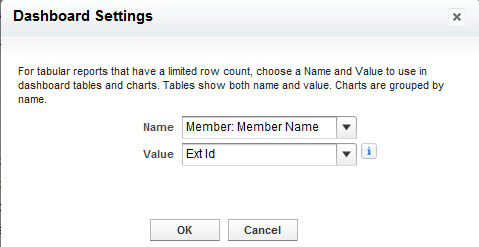 Now click 'Dashboard Settings' button and select Name and value click 'Ok' button. 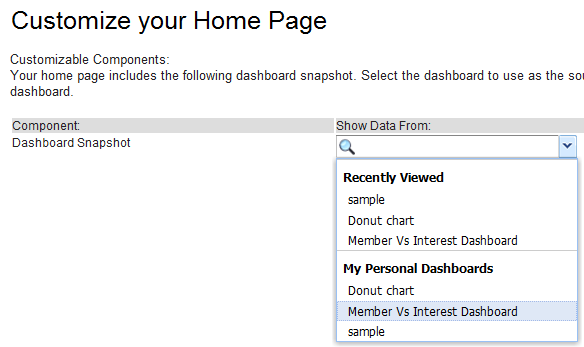 To display multiple Dashboards in home page, just add the charts to the space adjacent to the chart. Click 'Save' and check your home page now. 1. Create a button with label 'Add Employee'. 2. 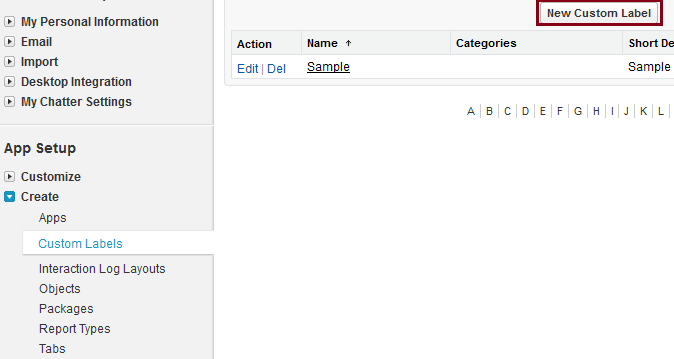 Select ' Detail page button' as display type. 6. 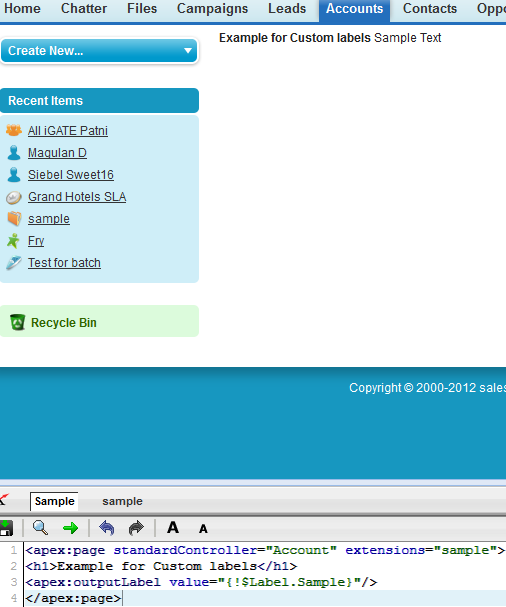 Add the button to the page layout. It will increment the Employees. 2. 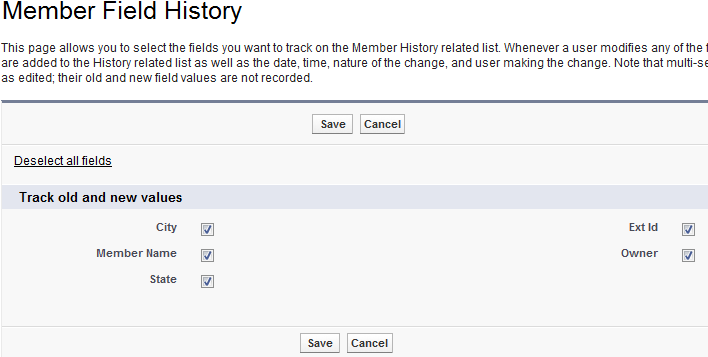 In the Custom fields section, click 'Set History Tracking' button. 3. 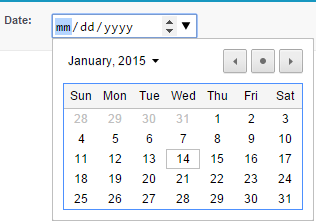 Select the fields and click 'Save' button. 4. Add History related list to the page layout to see the changes. 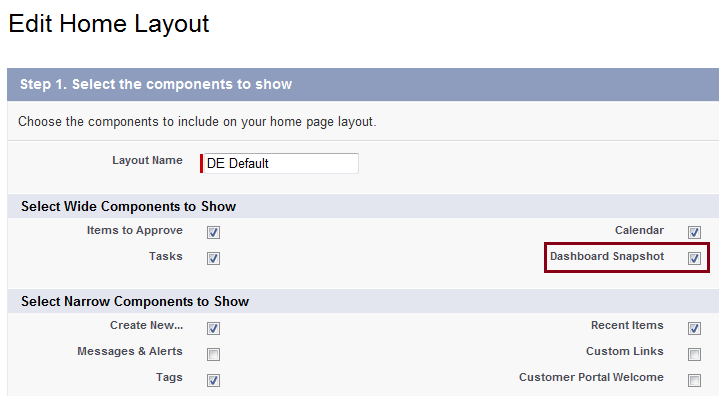 Go to Setup-> App setup ->customize-> Home -> Home page layout -> DE Default, Click 'Edit' and check the 'Dashboard snapshot' checkbox and click 'Save' button. 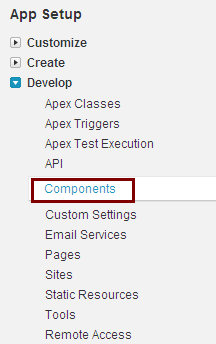 Step 4: Write an apex class for controller to that visualforce page. 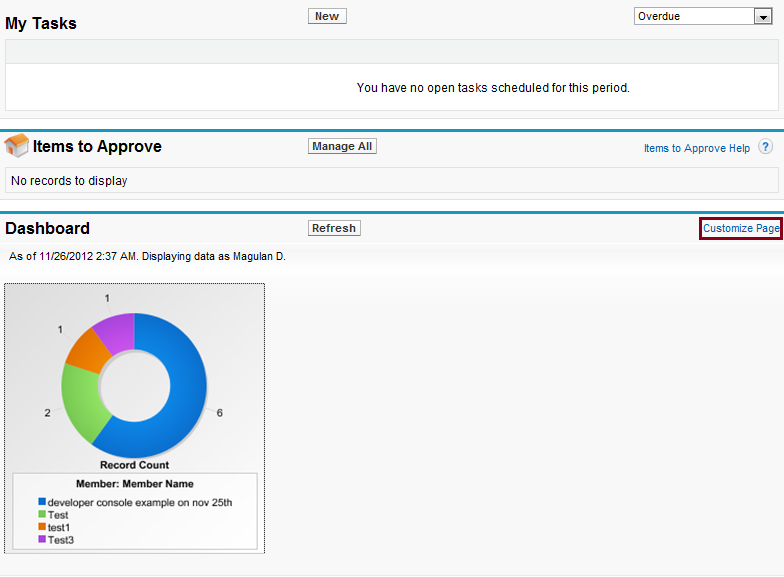 Step 5: Create a custom component for action status with name “enhancedactionstatus”.